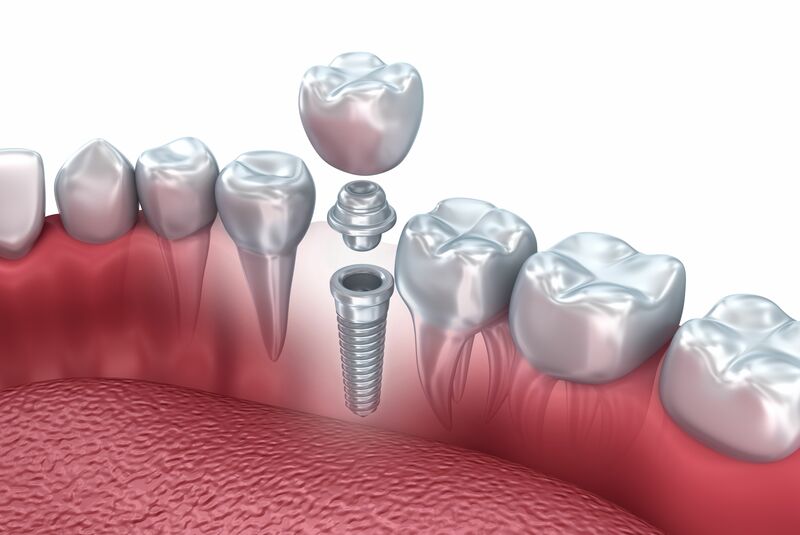 The team at Signature Smiles has plenty of treatment options to address missing teeth. Whether a patient is missing a tooth or multiple teeth, the people of Woodinville can trust in our advanced general dentistry team to help patients have beautiful smiles that are healthy as well. Let's take a moment to consider the different causes of tooth loss. Treatment options can be discussed in more detail during your visit to the practice. Major tooth decay and severe cavities are a common cause of tooth loss. This is why it's important to brush and floss regularly. Small cavities aren't an issue, but major tooth decay always starts somewhere. On the note of regular brushing and flossing, gum disease can also lead to tooth loss, especially in later stages of periodontitis and advanced periodontitis. Teeth can come loose, shift position, and simply fall out. Gum recession occurs when the gum tissue peels back from the tooth, exposing more root structure in the process. This makes tooth decay below the gumline more likely, and leaves teeth less supported. Wisdom teeth are the extra sets of molars that grow in during a person's late teens and early twenties. They are often removed in a routine oral surgery procedure as a means of alleviating pain and improving dental wellness. Inside of every tooth is a bundle of soft tissue known as dental pulp, consisting of nerves, blood vessels, and connective tissue. If this becomes infected following serious tooth decay or tooth injury, it can be quite painful. When root canal therapy cannot save the tooth, the best opton is extraction. Serious head or facial trauma during a car or motorcycle collision can lead to tooth loss and other serious injuries. The same is true when riding a bike or skateboard as well. When playing football or hockey or participating in boxing matches or mixed martial arts (MMA) competitions, any heavy blows to the head or face can potentially cause you to lose a tooth. If you fall face first, even from a normal height, this can result in serious injuries to your teeth, gums, tongue, and jaw. This is particularly dangerous on stairs or near ledges. People who work in construction or at industrial work sites run a high risk of serious injury. Head injuries and facial trauma can both result in tooth loss, damaged teeth, and many other serious problems. If you are involved in a fight or are assaulted by someone, you may sustain serious harm. It's not uncommon for people to lose teeth due to blows to the face and head. Sometimes people accidentally bite into a bone or a popcorn kernel. This can lead to serious chips or cracks to the teeth, and in some cases the damage may be so severe that the tooth cannot be saved. For more information about tooth loss and your many options for restoring the health and beauty of your smile, be sure to contact our advanced dental care center today. The team at Signature Smiles is here to help you improve your overall dental health and wellness.